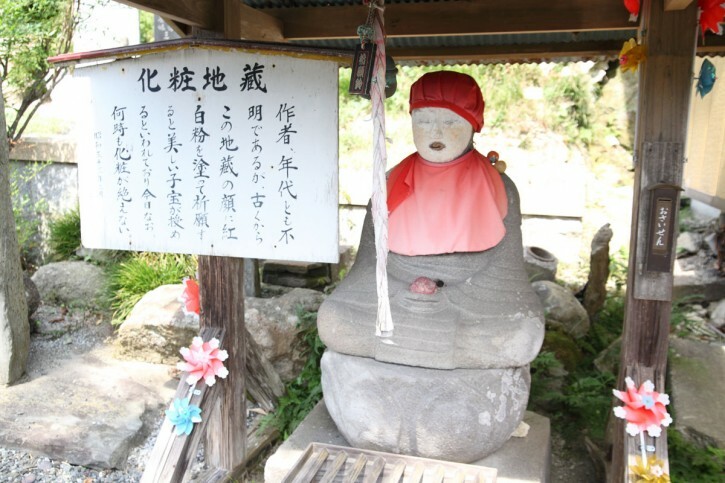 The name of the artist and the year are unknown, but from ancient times, it was said that those who put face powder on the Jizo’s face would be blessed with a beautiful, healthy baby. 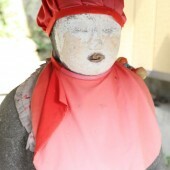 Even today, a lot of people come to put makeup on the Jizo. 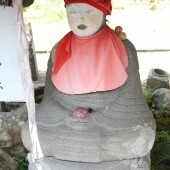 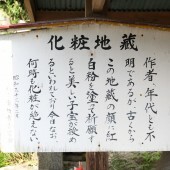 * In the temple, there is also “Enmei Jizo”, the “Grave of Genjun Sakamoto” and “Rokujizō”.